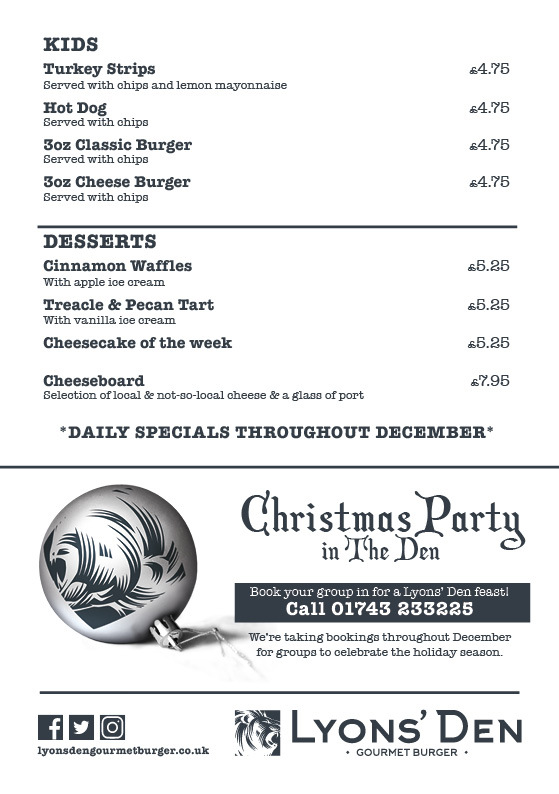 Book your Christmas party at The Den today. Call 01743 233225. Work party? Annual get together? Group of friends? 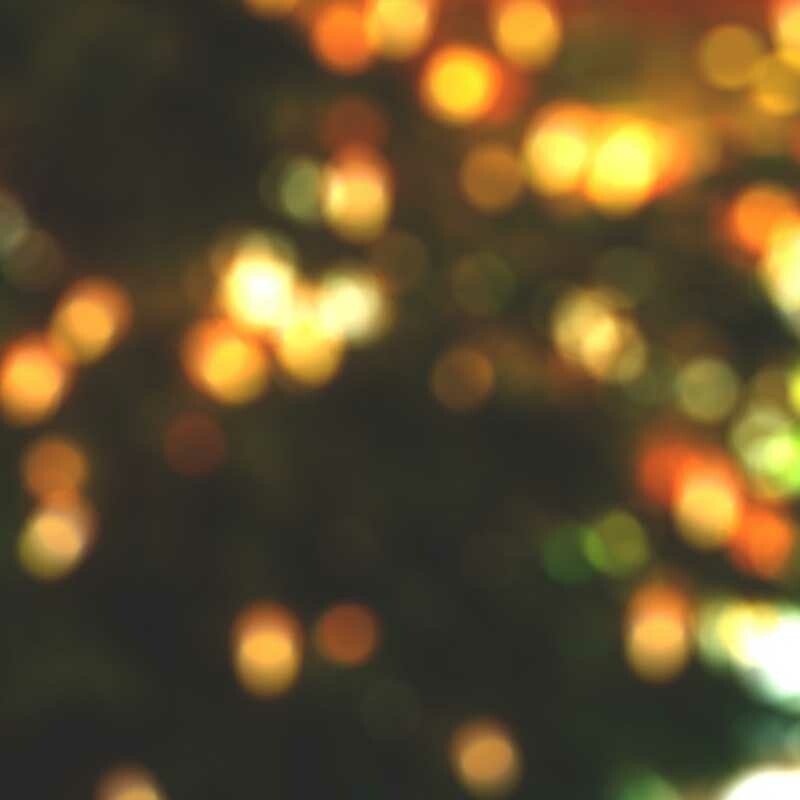 Have you got your Christmas booking sorted? Our group bookings for December are filling up fast. Get yours whilst you can. 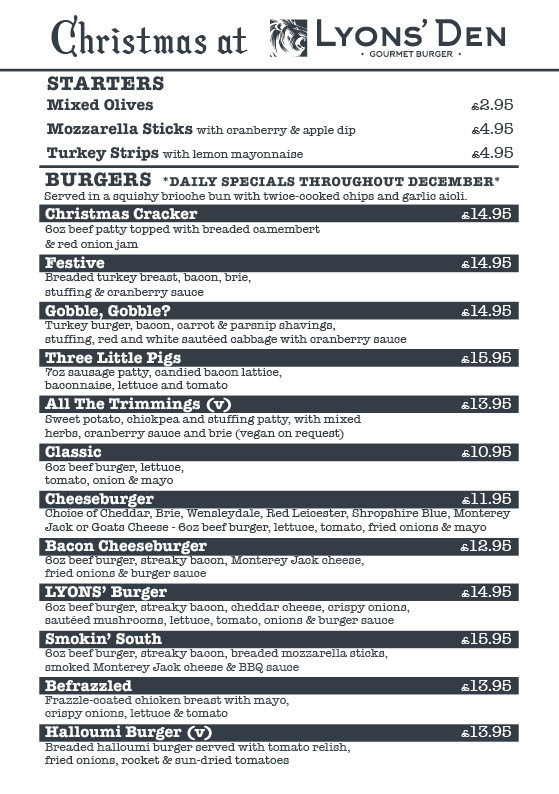 Perhaps you’ve heard about our Christmas Cracker burger? A succulent 6oz beef patty topped with breaded camembert, or maybe the Three Little Pigs is more your thing? A delicious 7oz sausage patty with candied bacon and baconnaise. Whatever you’re favourite Christmas flavour, we’ve got something for you. There is no better time in The Den than Christmas. Festive music playing, groups dining and enjoying themselves, drinks flowing and burgers on the grill. 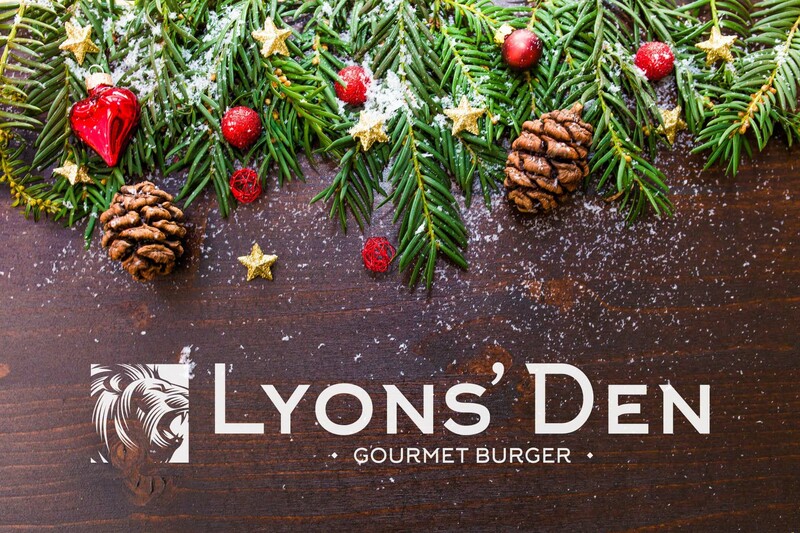 Enjoy a Christmas party with a difference at Lyons’ Den Gourmet Burger. 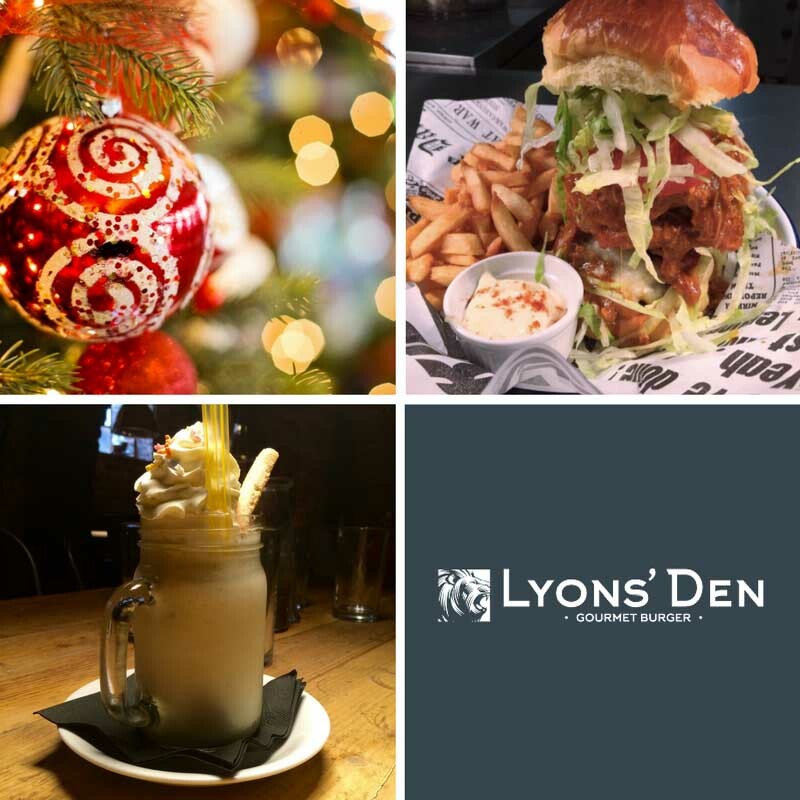 If you’re considering a get-together or party during the Christmas period, we’d love to welcome you to The Den. Give us a call on 01743 233225 and talk to us about the plans for your group. 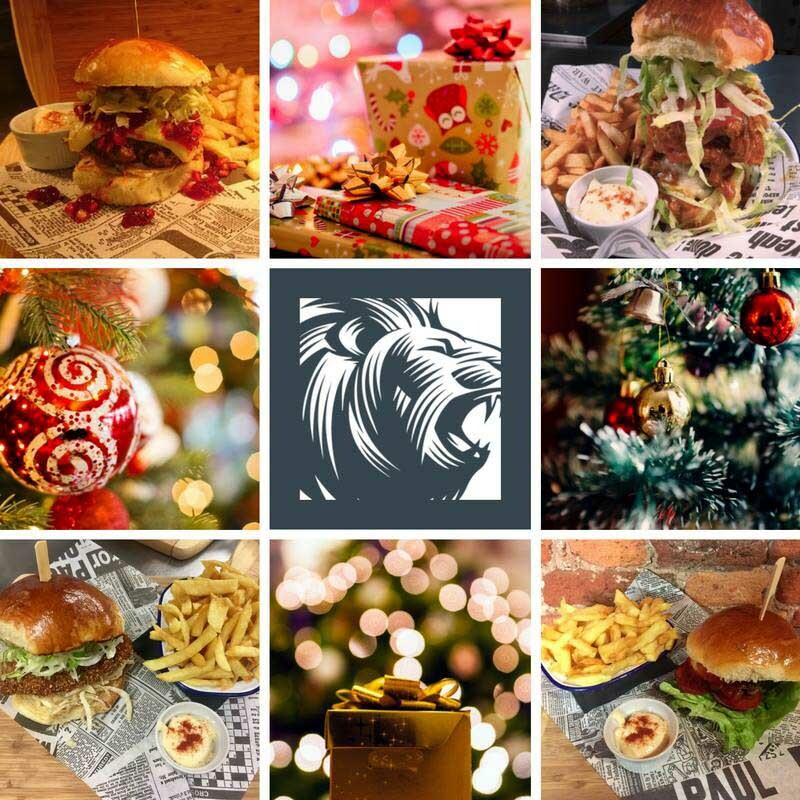 Arrange your Christmas party at The Den. Call 01743 233225.